Card Game Solitaire.com has tons of free online solitaire card games that are both available for download and playable directly out of your browser. 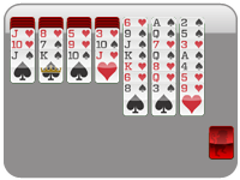 Every time you play solitaire, you compete with yourself for your best high score. 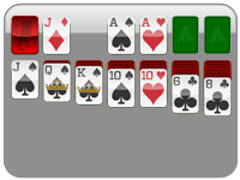 Play card games for free whenever you like--when at work, school, or home--and make all your friends jealous with your ever-increasing solitaire skills! 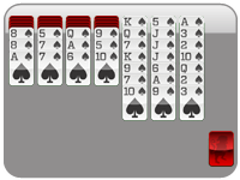 Klondike Solitaire is the most popular card game around. 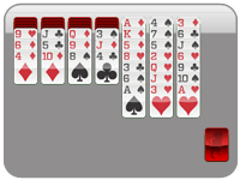 Card Game Solitaire does it better than the rest offering smooth game play and an undo button! Made popular online by the original PC solitaire version, Card Game Solitaire's Klondike Solitaire is taken to the next level with a game you'll keep coming back to again and again! Solitaire is a fun card game to enjoy at all ages. 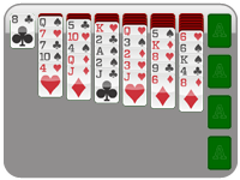 Create stacks of cards on the solitaire board by stacking cards downward alternating color. 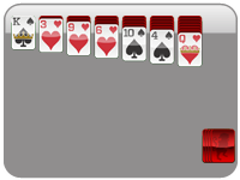 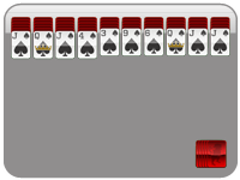 Click through the stock cards to add extra cards to the solitaire game. 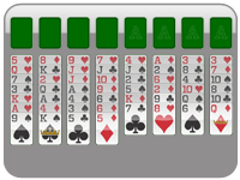 The ultimate goal of Klondike Solitaire is to add all the cards into their foundations in the top right based on suit from Ace to King. Enjoy this age old game all day long with Card Game Solitaire's wonderful rendition of a classic Solitaire card game! 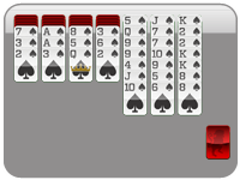 Klondike Solitaire, electronically, has been around in force since the early days of the PC. 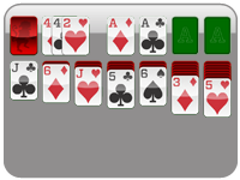 See what the madness is all about by learning how to play. 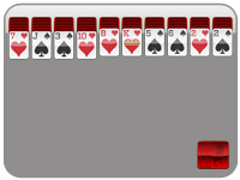 Learn how to play card game solitaire.